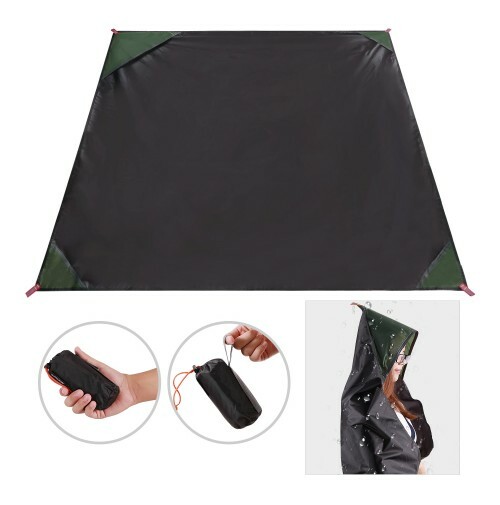 HIGH QUALITY MATERIAL: The Redcamp Multi-Purpose outdoor tent tarps are waterproof and made of 100% rip-stop polyester, making them eco-friendly. MULTIPLE USES: Can be used as a large camping or beach ground cover for tent, sleeping bags or for a picnic. It can be easily tied to trees or posts using the durable double sewn tie loops. UNIQUE FEATURES: Special pockets on all 4 corners to add weights for windy conditions. The tarps easily convert to a poncho. Also the small size tarp can be converted into a handy duffel bag. LIGHTWEIGHT AND COMPACT:A convenient round compact carry pouch to pack or store the tarp is included. 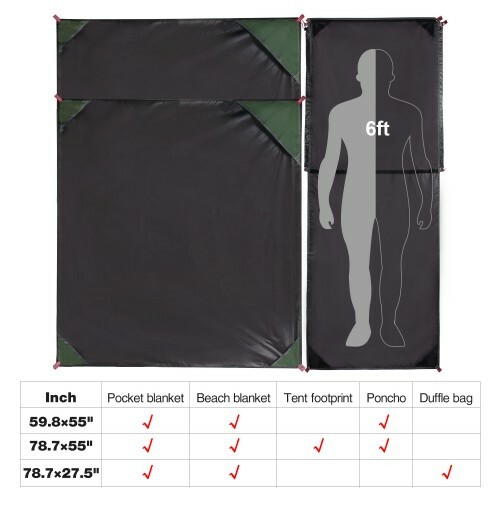 SIZES: Comes in 3 versatile sizes of 78"x55", weight 230g/0.51lb. 100% MONEY BACK GUARANTEE: REDCAMP offers a 365-day limited manufacturer warranty. If you're not satisfied for any reason, please contact us immediately and we will respond within 24 hours.